Andy Irvine performs at Wexford Arts Centre on April 20th (8.30pm). Andy has been a member of Sweeney’s Men, Patrick Street, Planxty, and more recently Mozaik. Legend. Tickets €20/18. Tel 053 9123764. Cairde na Cruite / Friends of the Harp website has details of festivals, concerts and workshops happening around the country. Irish Music magazine festival listing. 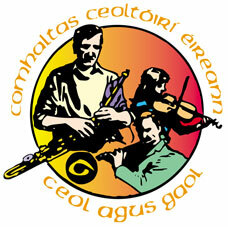 Danny Diamond & Conor Caldwell NOT coming to Wexford! NORTH, a duo consisting of Belfast-born fiddle players Danny Diamond & Conor Caldwell, were programmed to perform at Wexford Arts Centre on 5th April, 2019. Alas the gig has been cancelled.